The word is out: writers make better writing teachers! Oh, boy, while many teachers readily identify as readers not as many identify as writers. The good news? Identifying as a writer doesn’t mean that we all have to be talented authors or that we all have to love writing. 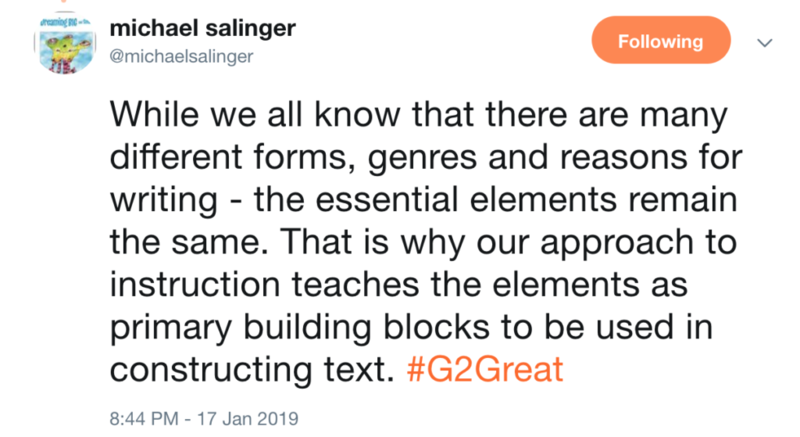 We do need to find ways to engage in the writing process to make authentic and meaningful connections that inform our instructional practices. How do we begin to do that work? How do we learn to see beyond our own experiences? How do we build a knowledgable community of others? 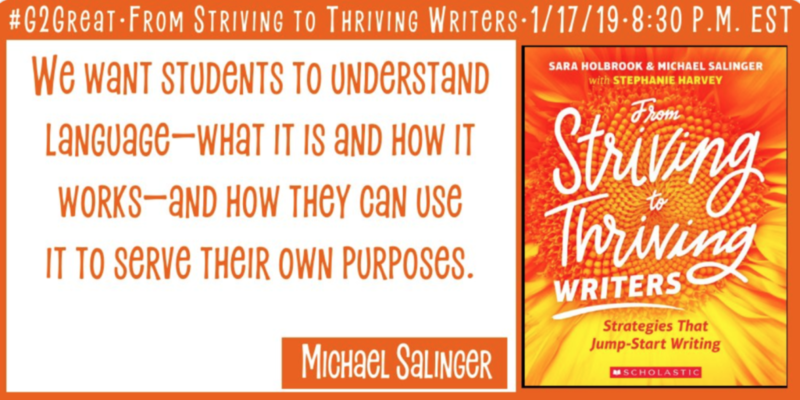 Meet authors: Sara Holbrook, and Michael Salinger. On January 17, 2019, they, alongside, Stephanie Harvey (wow! 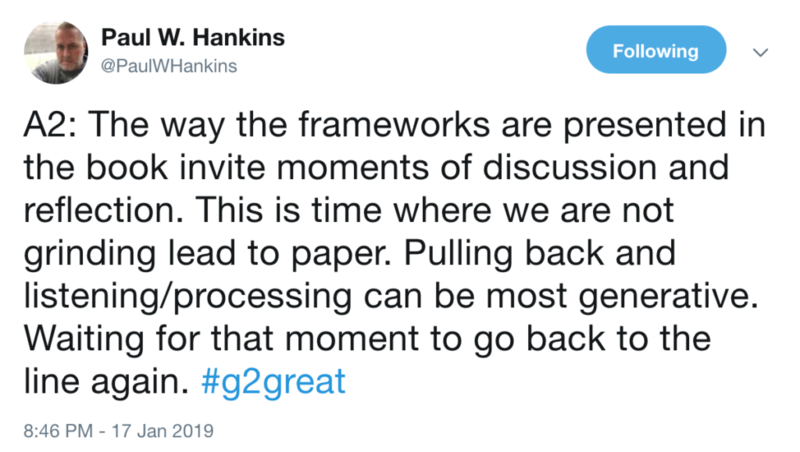 ), joined #G2Great to talk writing and share their collective wisdom to get this important conversation started. 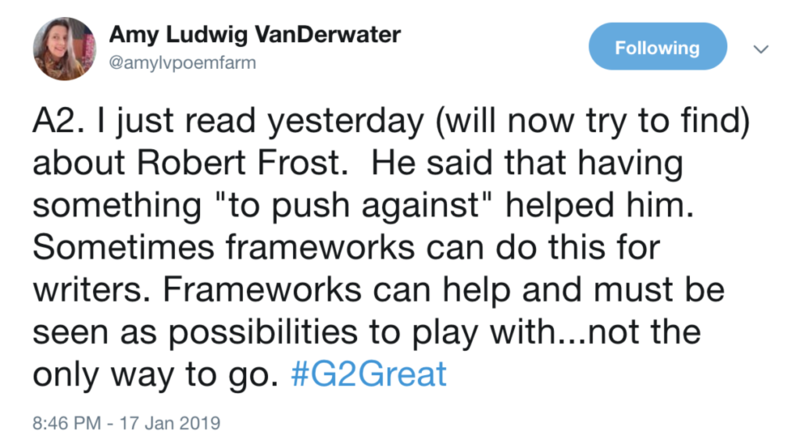 The chat was a quick one and as I returned to read over tweets to write this post, it became clear that our G2Great PLN had a deep appreciation for the powerful combination of embracing mentorship while encouraging ownership over the process. For me, that is an important takeaway that makes this book an important addition to my professional texts. 1. Writing in subsequent versions where teachers challenge writers to greater detail and sophistication with each version. 2. Co-construct with students on each version, modeling drafting and revision. 3. Writing is a means for students to communicate their ideas, but it shouldn’t be taught in isolation – all our writing lessons involve collaborative reading, writing, and speaking, developing students’ overall communication skills. 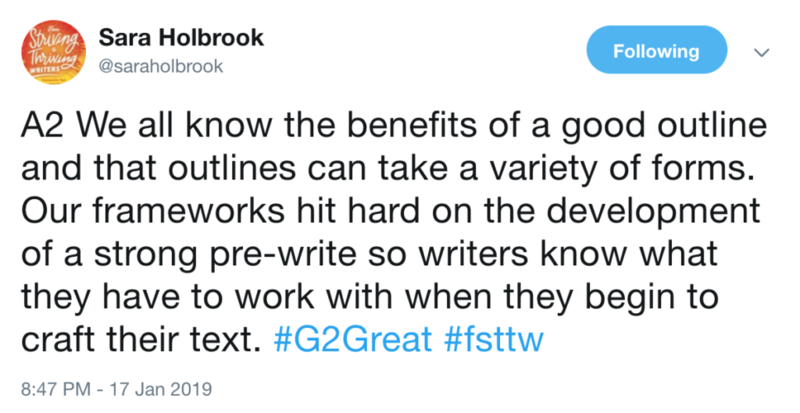 This is such a well thought out and balanced approach to writing instruction, and it is just so important to be an intentional writing teacher. Teaching students how to write is something that will serve them well for the rest of their lives. Regardless of their future pursuits, whether they are writing poetry, memos, blogs, or tweets. Writing is the thing that will help students represent themselves in an increasingly literate world. 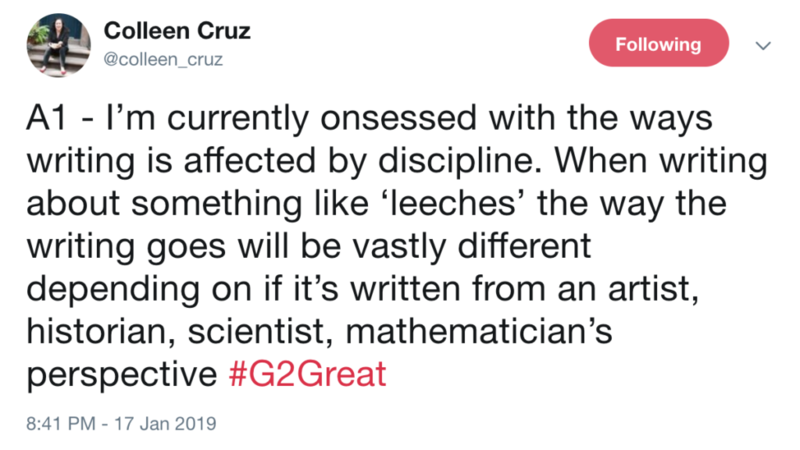 This is what I believe: I believe the written word has the power to actualize our individual sense of agency and can be a source of fulfillment. I am very interested in being the best writing teacher I can be. 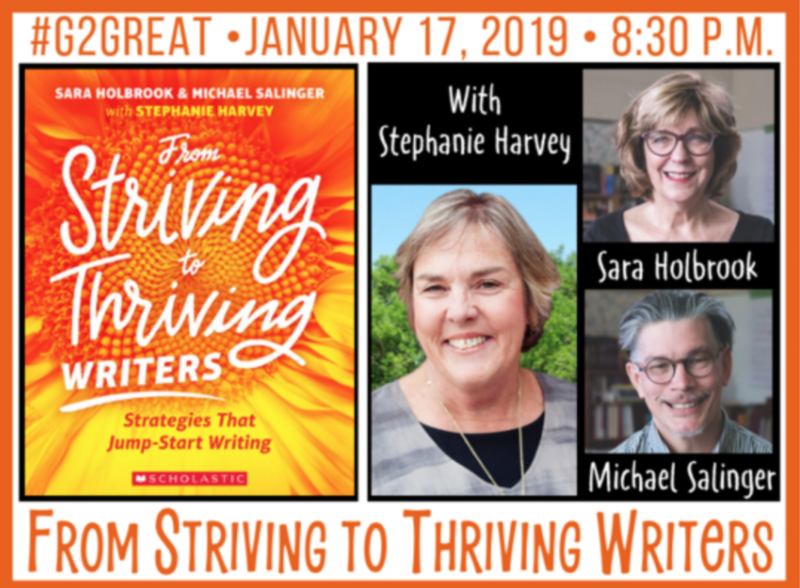 Thank you, Sara, Michael and of course Stephanie for writing From Striving to Thriving Writers. Your book is helping me grow my practice.